DOUALA, Cameroon, Mar 14 2013 (IPS) - The fruit farmers in Njombe, a small town in the coastal Littoral Region of Cameroon, learned a life lesson about “making lemonade out of lemons” – or rather “dried fruit out of fruit” when their land was taken from them by the government and leased to an international farming company. In 1998, 34 fruit farmers lost 70 hectares of their land to Plantation de Haut Penja (PHP), a subsidiary of French company Compagnie Fruitiere, to which the Cameroonian government leased 4,500 hectares of land to grow bananas. But in 2003, thanks to the assistance and loans from the local NGO the Network for the Fight against Hunger (RELUFA), the farmers were able to purchase farmland in Njombe. The NGO also assisted the farmers with loans to buy fertilisers and chemicals and organised them in a cooperative called the Common Initiative Group (CIG) Esperance. Bika Sadi is one of the farmers who has been growing bananas, pineapples and papaya on his new land and selling it to the dried fruit manufacturing business that RELUFA set up in 2009. “We supply our products at set prices to the dried fruit project. A kilogramme of fresh papaya is sold at less than 20 cents on the local market, but the project buys it at 31 cents. And a kilogramme of fresh banana and pineapple sell for 10 cents on the local market but the project buys them for 24 cents,” Sadi told IPS. The initiative, called the Fair Fruit project, sells oven-dried pineapples, mangoes, bananas and papaya. But it was born out of failed attempts by the farmers to obtain compensation for the loss of their land. The farmers took PHP to the Wouri High Court in Douala in 2005, and after five court appearances over three years, the company and the farmers reached an out-of-court settlement in 2008. However, only 28,000 of the 120,000 dollars promised in the negotiations were paid to the farmers. A year later, Fair Fruit was created. The dried fruit packaging is clear about the reasons for the business. The label reads: “Fair Fruit is grown by Cameroonian farmers who were forced off their land by a transnational company seeking to establish its vast plantations. The fruit is cultivated and harvested in a just and environmentally friendly manner and traded under fair terms”. Daniel Mahatma, a local fruit farmer in Njombe, manages the project that employs 10 people to work in the small processing plant built by RELUFA. “The workers in this plant earn 2.50 dollars a day for five hours of work, which is a modest income for a youth who has the rest of the day for other activities,” Mahatma told IPS. 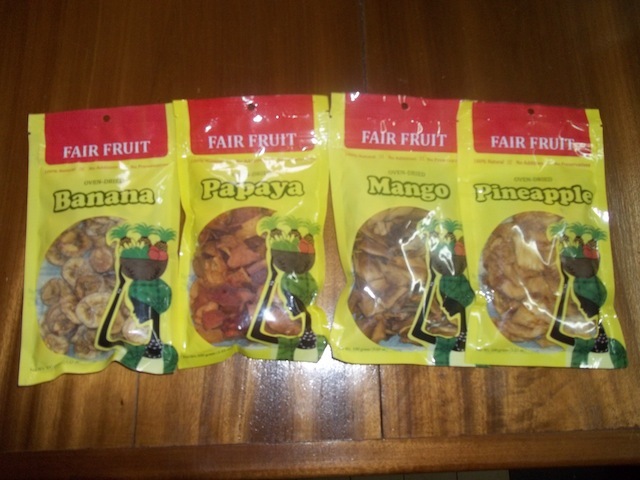 The dried fruit is packaged and then distributed to supermarkets, hotels and airports. “We also sell the product to potential buyers through trade fairs and agro-pastoral shows,” Michelle Danleu, Fair Fruit’s sales and marketing officer, told IPS. The profits have been ploughed back into the project and will fund a second phase. In a country where an increasing number of smallholders have been forced off their land, the expansion of the project could help many more farmers like the ones in Njombe. “Fair Fruit … could also tell the story of other marginalised farmers all over Cameroon,” Jaff Bamenjo, the assistant coordinator for RELUFA, told IPS. “We are concerned about the new wave of investments in land and the negative impact on local food production and rural communities’ access to land,” Bamenjo added. According to a 2012 Food and Agricultural Organization report titled “Investment Policy Support, Foreign Agricultural Investment Profile Cameroon”, the general foreign direct investment inflow into Cameroon was less than 113 million dollars in the 1990s, but reached 337 million dollars in 2009. 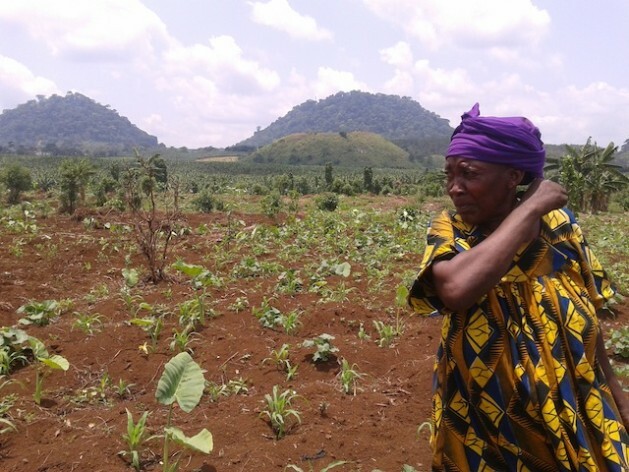 While there are no official figures on foreign agricultural investment in Cameroon, the report notes that some 48 percent of Cameroon’s population depend on agriculture for a living. Even the Ministry of Agriculture and Rural Development is concerned about the number of large agricultural plantations in the country that have pushed smallholders off their land. “Large plantations have a negative effect not only on local food production and supply, but they also affect the social economy of the locality where they exist. Added to the fact that most local farmers are usually evicted from farm lands, the farmers in most cases are restricted from farming close to the boundaries of plantations for fear that they might steal from the plantation farms,” Collette Ekobo, the agriculture inspector of the Ministry of Agriculture and Rural Development, told IPS. As an agriculture inspector, Ekobo evaluates the performance of agricultural services, rural productivity and development in the sector and has authority to represent the ministry’s views. “The complaints from farmers (kicked off their land) have been overwhelming in the Littoral and Southwest Region of the country, where most plantations are located,” she said, adding that she was unable to provide figures for the number of farmers affected. The land tenure system in Cameroon makes it difficult for private individuals to acquire title deeds. The 1974 Ordinance No. 74/1 on land tenure stipulates that private land must be titled and registered. All remaining land is classified as national land, which includes most unoccupied land, unregistered land, communal land held under customary law, informal settlements and grazing land. However, obtaining a land right certificate is a costly and long administrative procedure. Samuel Nguiffo, from the Centre for Environment and Development, Cameroon, told IPS that as a result most villagers had no formal land titles to their customary agricultural land. “Land agreements given to large companies do not respect customary land rights or informal land holdings. The laws and the institutions in place do not protect their interests,” he said. An inter-ministerial committee from the Ministry of State Property and Land Tenure is currently revising the land tenure law, and a bill will be introduced in parliament. But civil society groups complain that the process has not been participatory. Nguiffo added that there was an assumption that foreign investors created more jobs than local smallholders, but said it was not a proven fact. “If communities are given support through access to land, capital and technical assistance you will see them create jobs and wealth and contribute to national development more sustainably than large companies,” he said. Meanwhile, on Jan. 16, PHP finally agreed to pay out the remainder of the settlement to the Njombe farmers. The reasons for this are unclear, but it could have had something to do with the labels on the dried fruit. “As a precondition for the company to pay this money, they said we must remove the message that is on Fair Fruit packages. The farmers have agreed to this condition,” Bamenjo said. They need to advertise their products well to ensure visibility. many Cameroonians are not aware of their existence which could boost their sales and increase profits. mary.a.smithcreditcentre@gmail.com) with the borrower details.